Made this one up for a branding last year and didn’t move, reduced to sell! Brand new, never ridden 15-1/2" tree Wade saddle built on Sonny Felkin tree by saddlemaker Ben Geisler. Reverse 1/4 stamped rounded square skirts in traditional basketweave. 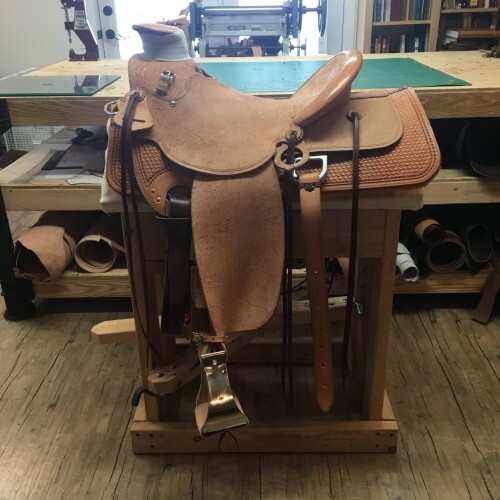 Books are currently open for full custom saddles. Base price is $3,450 for a full roughout with $500 nonrefundable tree deposit. Call for inquiries, additional photos available on request.